The Senate Finance Committee has preliminarily voted to move the nomination of Seema Verma as the next CMS administrator to the full Senate. Committee members in an open executive session Wednesday voted 15-11 with proxies to pass Verma's nomination to the full Senate. However, proxy votes don't count toward the final vote and present members tied 9-9 on the nomination. Another formal vote will be held in the coming hours according to committee Chairman Sen. Orrin Hatch (R-Utah). It is expected her nomination will pass the committee. Democrats on the committee opposed her nomination because she was too vague on where she stood on specific policies and lacked any formal Medicare experience. Ranking member Ron Wyden (D-Ore.) voted against Verma, but made clear his vote was not partisan in nature. He has voted to confirm four Trump picks including Veterans Affairs Secretary David Shulkin. He said his concern was that she was too vague both during her confirmation hearing and in response to written questions for the record on various policy issues, such as how to rein in drug prices for Medicare. “We're in the dark on how she would pursue these issues,” Wyden said. 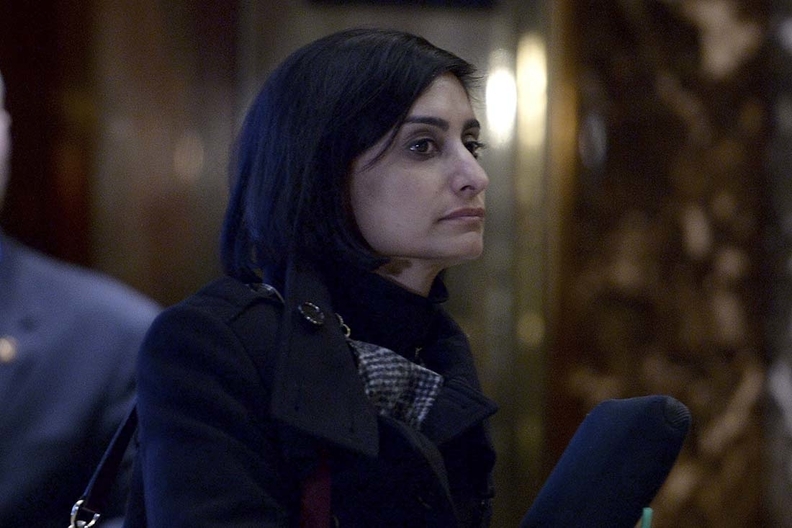 Although Democrats have focused on Verma's lack of Medicare experience, she is believed to have more Medicaid experience than any other administrator in the agency's history, having helped craft expansion plans in Indiana, Iowa, Kentucky and Ohio. From Indiana alone, Verma's Indianapolis-based firm, SVC, collected more than $6.6 million in consulting fees. The firm helped the state expand Medicaid in a program that requires beneficiaries to pay premium contributions, have health savings accounts, and a face a benefit lock-out if they don't pay premiums. Indiana currently is asking the CMS to extend the program for another three years. Controversy now surrounds that application following reports that the state provided misleading information to the CMS on whether the model was working. A spokesman for the state's Medicaid agency declined to formally deny the allegations and instead touted the model's benefits. The CMS did not respond to a request for comment over the allegations.